1989: The 21st Annual MileHiCon, a sci-fi and fantasy gathering in Denver, hosts a truly epochal moment in the history of geekdom: the birth of robot battles. 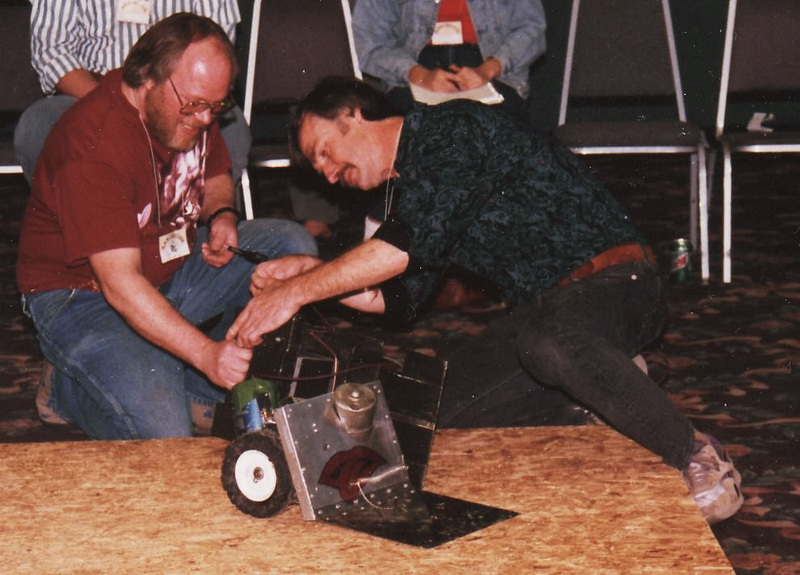 The year before, MileHiCon had hosted the Critter Crawl, a sort of beauty pageant for windup toys and remote-control gizmos, But no official winner was declared, and there were no prizes. 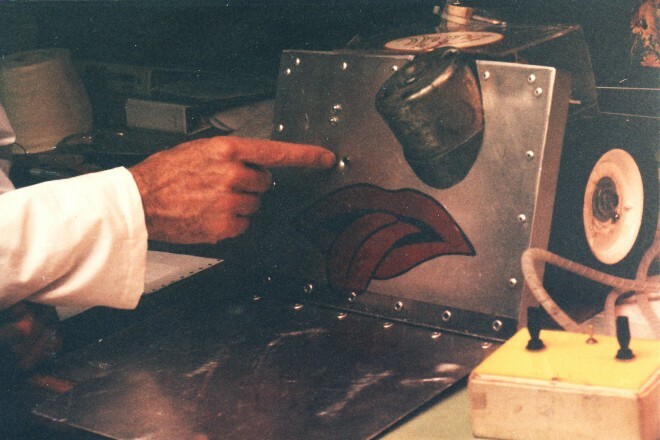 There had been public displays of robotic mayhem before: Survival Research Laboratories’ performance art pieces had featured automatons that spit fire and blew up. But this was an actual invitational sporting event. The ultimate winner was Mad Scientist member Pat Thompson’s Thing One, a 19-pound behemoth armed with a can of Silly String that it sprayed at foes — and the audience. The Critter Crunch gave birth to an array of robot-fighting leagues worldwide, as well as a series of TV shows and videogames. It helped to popularize amateur automaton tinkering. It also reminded us all that bots aren’t simply toys or industrial helpmates. They are dangerous and terrifying creatures that will someday conquer and enslave mankind.